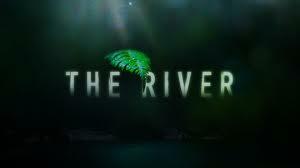 I watched the 2 hour premier of The River last night. I had seen previews for it before and it looked pretty good. It's about this group of people who go into unknown amazon wilderness searching for this famous travel guy who disappeared. Before long they find something very deadly and frightening. They also begin to notice supernatural phenomenons occurring around them. The show reminds me very much of LOST which was one of my favorite shows. You have the unknown location and the weird things happening, which describe both of these shows. This one is a little bit different because it is playing up more of the scare factor. Personally I don't like horror type shows so I don't care for that part of it. There is already enough mystery and suspense to keep me wanting to know what is going to happen and what is really going on. I hear they have 8 episodes total which is pretty short. Maybe they will extend it if people like it. I will tune in next week and see how the series progresses. I hope it is as good as LOST, but that is a hard act to follow. So it's about 5 episodes into the season and I'm still watching it, but barely. The show is just ok, but it has enough mystery to keep me watching it to figure out what happens. From what I hear, the ratings are not too good and it will probably be canceled after the first season.